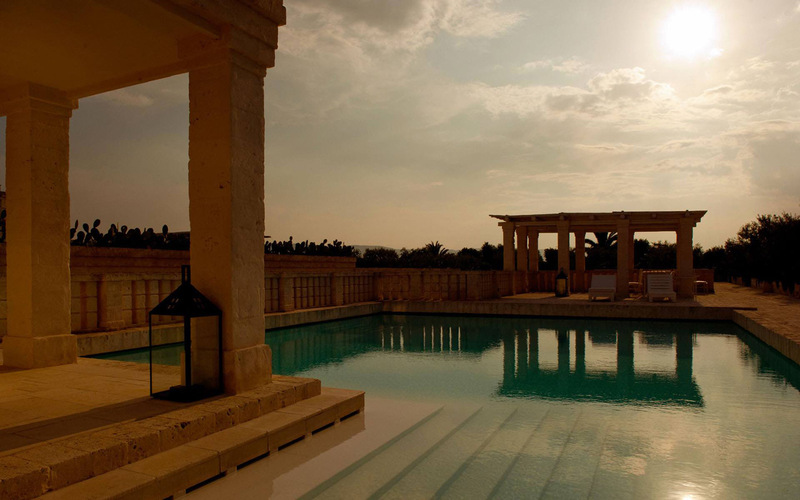 The 28 villas of Borgo Egnazia are designed to offer the ultimate in luxury and comfort. 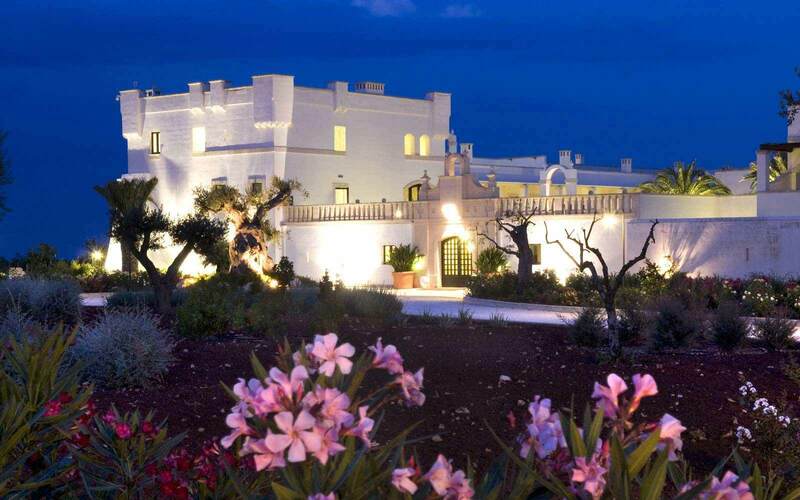 With the contemporary design and colour scheme of the hotel rooms, each villa offers three bedrooms and three bathrooms and comes complete with its own private pool, garden, wraparound balcony and rooftop terrace with distant sea views. Built in clusters of four, the villas can inter-connect with each other if required, to accommodate large families or groups, with up to 12 bedrooms per cluster. In addition to the three bedrooms, the villas also have a ‘bonus’ room’, which has flexible usage and can be a fourth bedroom, massage room or nanny room. Each three-story villa encompasses 250sq.m. Ground Floor - a fully equipped kitchen with washer/dryer, formal dining room, living room, cloakroom, private pool and garden. Upper Floor: master bedroom with en-suite bathroom featuring bath, separate double shower cubicle, double vanity unit, walk-in wardrobe and LCD TV. Second bedroom with full en-suite bathroom. Each bedroom has a private balcony. Lower Ground Floor: third bedroom, full bathroom, ‘bonus room’ and entertainment room with LCD TV & DVD. (Please note that in most cases the lower level does not have outside access or natural light). All bedrooms have twin beds, which can be configured as kings, offering flexibility for couples or families. Villa guests also have free access to all the resorts facilities, plus exclusive services, including personal assistant, butler, nanny & private chef (details & prices on request). Villa Bella (250 sqm villa): Garden and patio. Private pool size: approximately 5mt x 2.5mt. Lower ground floor without windows. Villa Deliziosa (250sqm): Garden with gazebo and patio. Pool size: approximately 8mt x 3mt. Lower ground floor without windows. Villa Stupenda (250sqm villa): Garden with gazebo, patio and exclusive use of the citrus garden and courtyard at basement level. Private pool size: approximately 8mt x 3mt. Some villas without lower ground floor windows. 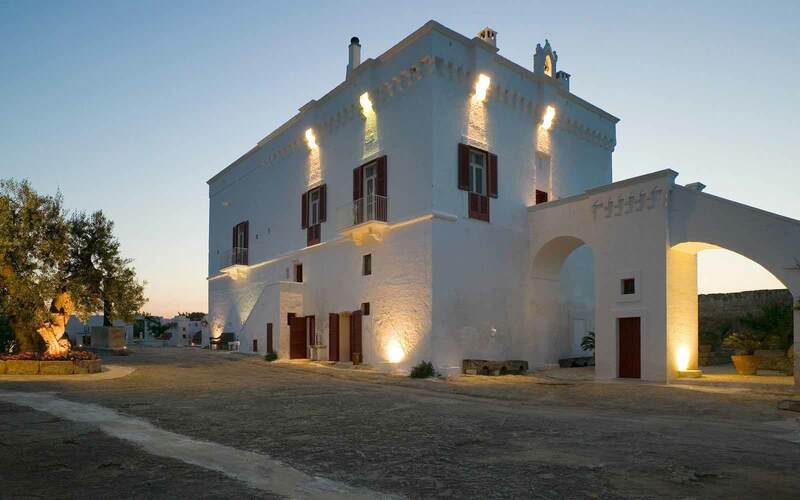 Villa Meravigliosa: (250sq.m villa): This villa is similar to Magnifica, but has a windows in the lower ground floor living area or third bedroom. It also has a larger pool of 15mt x 7mt.